The LC is really excited to present our latest rare and exotic gemstones in our collection, Madras Sunstone. Its captivating and distinctive shimmer will be a wonderful addition to your personal jewelry collection. Continue reading to discover more about this dazzling gemstone. The specks of copper in Madras Sunstone give off a bright, golden sheen called schiller. The schiller phenomenon makes the stone appear to glow as if it had its own internal light source. Sunstone is also known as Heliolite, which is derived from the Greek term “Helios” meaning sun and “lithos” meaning stone. This exotic gemstone is formed in molten lava and is discharged onto the earth’s surface by volcanic activity. 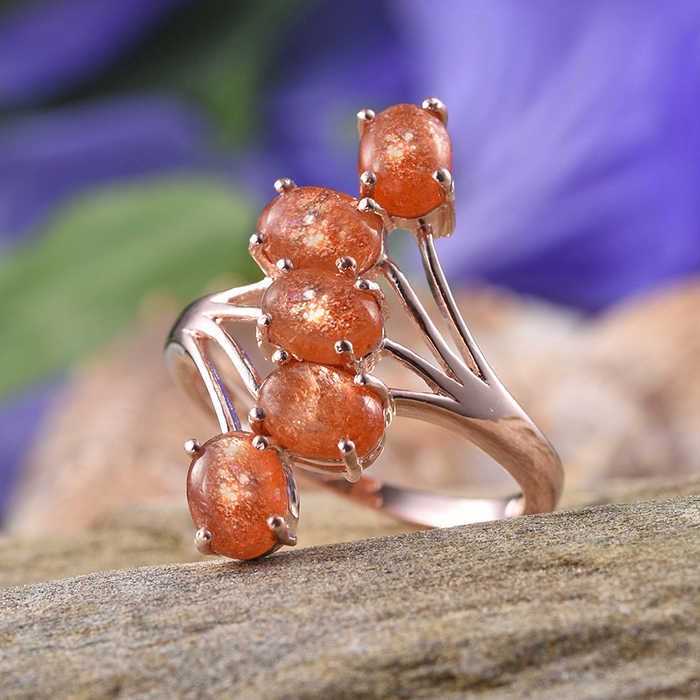 Once the lava weathers away or is broken, fine crystals of sunstone are then released. Madras Sunstone is found with copper inside of it, which is the cause for the range of colors in the stone. Colors of sunstone include yellow, many shades of green, red and pink. Intense red and blue-green are the colors that are the rarest. These stones are 100 percent natural and there is no treatment done on any of the them. The LC is proud to introduce you to the beauty of Madras Sunstone Oct 5, from 12 p.m. to 11:59 pm CT on air! 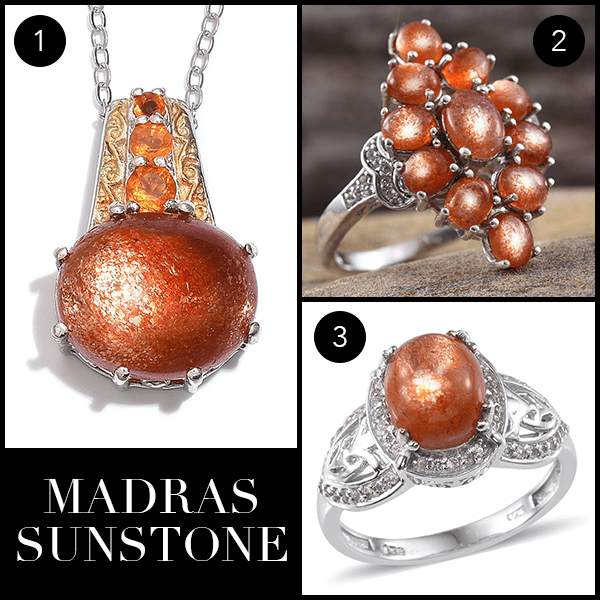 What do you think of Madras Sunstone?